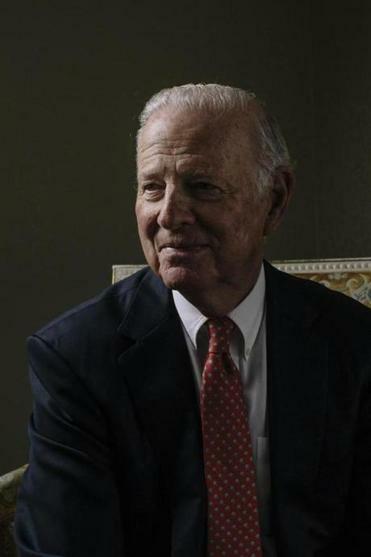 James Baker, a former secretary of state in the George H.W. Bush administration, is part of a group of Republican elder statesmen calling for a tax on carbon pollution from fossil fuels. Today, let’s take a cue from the poet Max Ehrmann and go placidly amid the noise and haste and disarray, the conflict, confusion, and incompetence, the rancor, recrimination, and scheming, the whingeing, whining, and self-pity . . .
Ahem. Today’s subject is actually a recent hopeful moment for rationality in the Trump White House. It featured a past generation of Grand Old Party luminaries and policy wizards undertaking an earnest attempt at persuasion with the new Republican administration. And on a vital matter: a carbon tax as a conservative policy mechanism to battle global warming. The group pushing the idea has sterling GOP credentials. Led by James Baker, secretary of the treasury under Ronald Reagan and of state under George H.W. Bush, it also included Gregory Mankiw, who chaired the Council of Economic Advisers under George W. Bush, and Martin Feldstein, who held the same post under Reagan. Lending their names to the effort, though not present, were George Shultz, treasury secretary under Richard Nixon and secretary of state under Ronald Reagan, and Henry Paulson Jr., secretary of the treasury under George W. Bush. The lone non-Republican was independent Ted Halstead, self-declared radical centrist and founder of the Climate Leadership Council. Representing the current administration: Gary Cohn, director of Donald Trump’s National Economic Council, and five of his associates. “They gave us a serious hearing, which is exactly what we were seeking,” says Halstead. Most of the key changes will hardly be noticed by most of us. Here’s how the plan would work: President Obama’s (court-stayed) clean power regulations would be replaced by a carbon tax starting at $40 a ton. The money raised would be rebated to Americans in the form of quarterly dividends. By taxing carbon emissions, the carbon tax would make the price of fossil fuels begin to reflect their true environmental cost, creating market incentives to move toward green sources of energy. 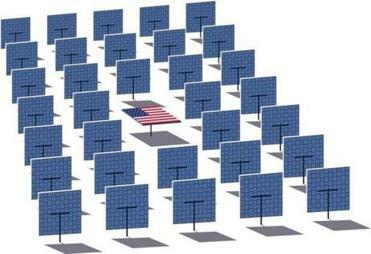 If trading partners didn’t have significant carbon-reduction policies of their own, the US would impose a carbon tariff on their goods. As Halstead points out, the plan should have real Republican appeal. Because of differential energy-use rates, the dividends would impart a bigger bonus to lower-income workers of the sort who backed Trump. It also checks some of Trump’s other boxes by shrinking government, reducing regulation, and encouraging new (green) jobs. Just as notable was the way Baker pitched the plan publicly last week. That’s a politically shrewd formulation, one that conceivably could allow Trump, who seems unable to acknowledge error, to begin to shift away from his denialist stance. It’s encouraging to have Republicans of the stature of Baker, Shultz, and Paulson pushing this plan. They might just open some GOP minds. And if they can somehow get the Trump White House to rethink its tragically myopic stand, the world will owe them a debt of gratitude.